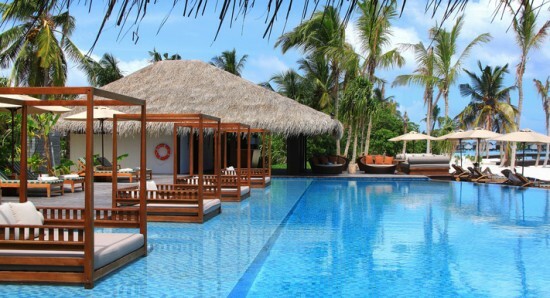 The Residence Maldives is a secluded hideaway of 94 luxurious beach and water villas on stilts is a scenic 55-minute flight from Ibrahim Nasir International Airport in Malé. 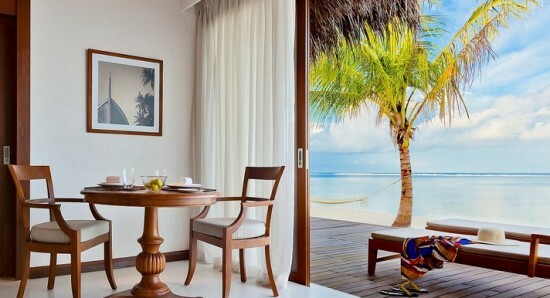 One and two-bedroom beach front and beach pool villas provide a serene ‘toe in the sand’ escape. Guests in one and two-bedroom water villas can slip straight from sundecks into crystal clear waters of their own private dive sites. 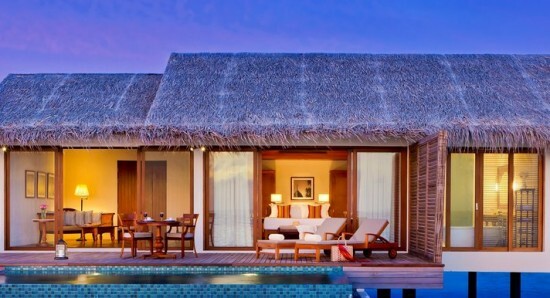 the Design is traditional Maldivian architecture with thatched roofs, local artifacts and wall art blended with the signature elegance and modern comforts of The Residence brand. 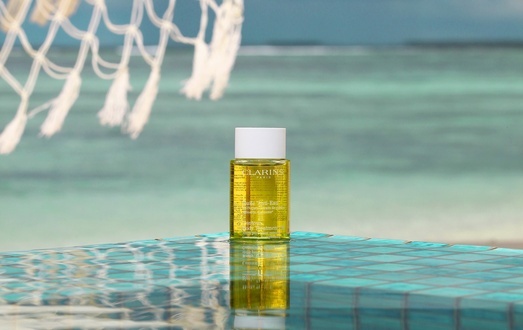 The Residence Maldives have recently become a member of the prestigious The Leading Hotels of the World, and feature the only “The Spa by Clarins” in the Maldives – serenely located at the end of a jetty over the lagoon. With six separate pavilions and hair salon, it offers an array of holistic treatments, pampering massages and hair services – using acclaimed Clarins spa formulas with plant origins. Recreation centres on water sports and scuba-diving, with a PADI-5 Dive Centre escorting both experienced and beginner divers to some of the most spectacular dive spots in the Maldives. Deep sea fishing is also available, along with island-hopping excursions to local villages and markets, cooking classes and environmental awareness by a resident marine biologist. 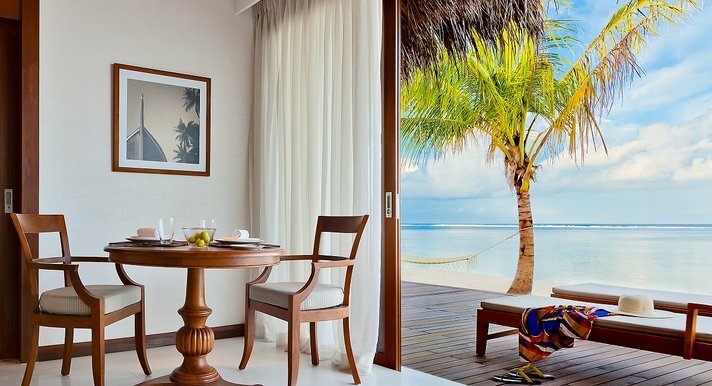 With a stunning Indian Ocean panorama, signature restaurant The Dining Room overlooks the beach and lagoon, serving contemporary Asian, Indian and Maldivian cuisine. Perched at the end of a 230-metre jetty over a colourful coral reef, The Falhumaa specialises in superlative seafood and fine wines. 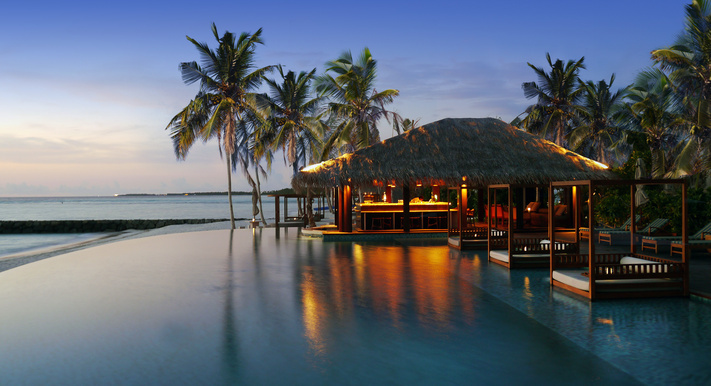 Partially submerged in the swimming pool, The Beach Bar is a romantic sundown chill out spot for cocktails and tapas with spectacular sunset views. Private dining is also available, either for romantic barbecues at villas or on the beach, served by a personal chef and waiter. Unforgettable weddings are another specialty. Couples can walk barefoot down a red carpet ‘aisle’ on the sandy beach, exchange vows underwater with marine life as celebrants, or marry alone in Robinson Crusoe-style on an isolated island with only heaven and earth as witnesses. Resort facilities also include a Kids’ Club, boutique & gift shop, DVD & CD library, fitness centre, internet corner, library and sauna & steam room. 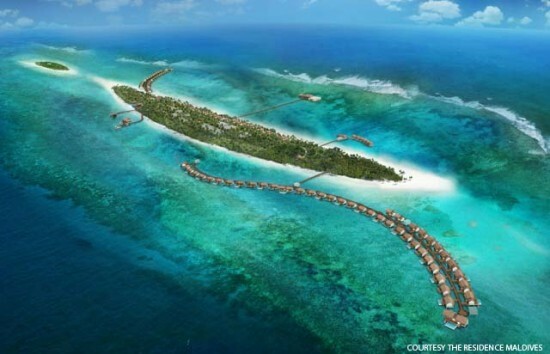 Cenizaro is the resort arm of Singapore developers Bonvests Holdings. The group’s hospitality flagship is Sheraton Towers Singapore.